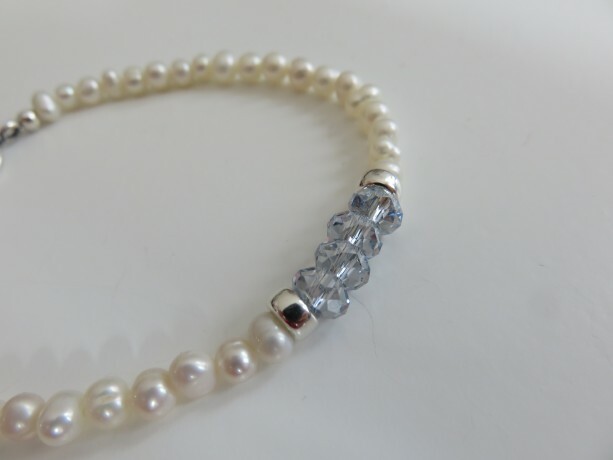 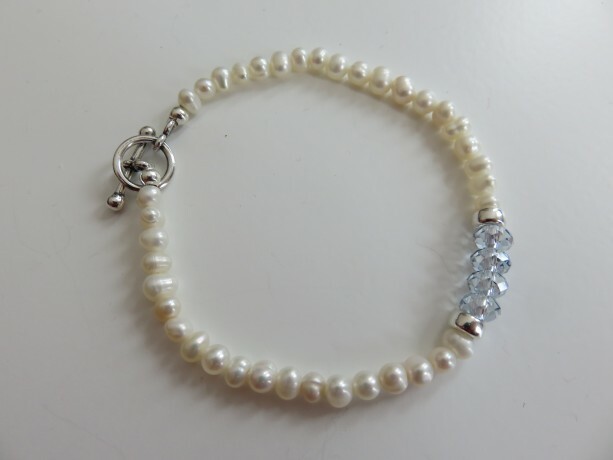 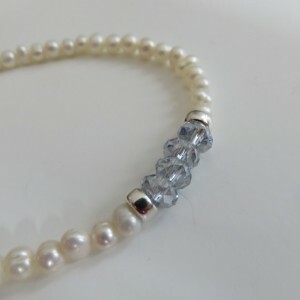 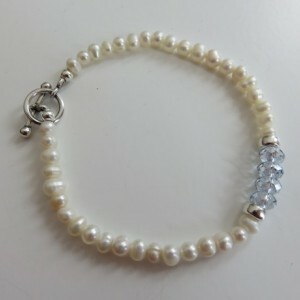 7.5" stretchy string bracelet of mini Grade A freshwater pearls & sterling silver findings/toggle, Swarovski ice blue briolette crystal beads and sterling silver spacers. 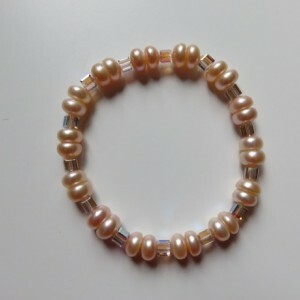 Very delicate and lovely. 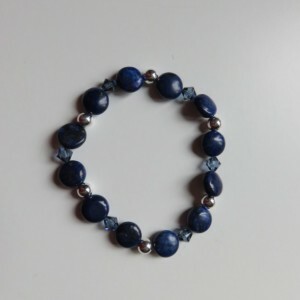 Great for all year.